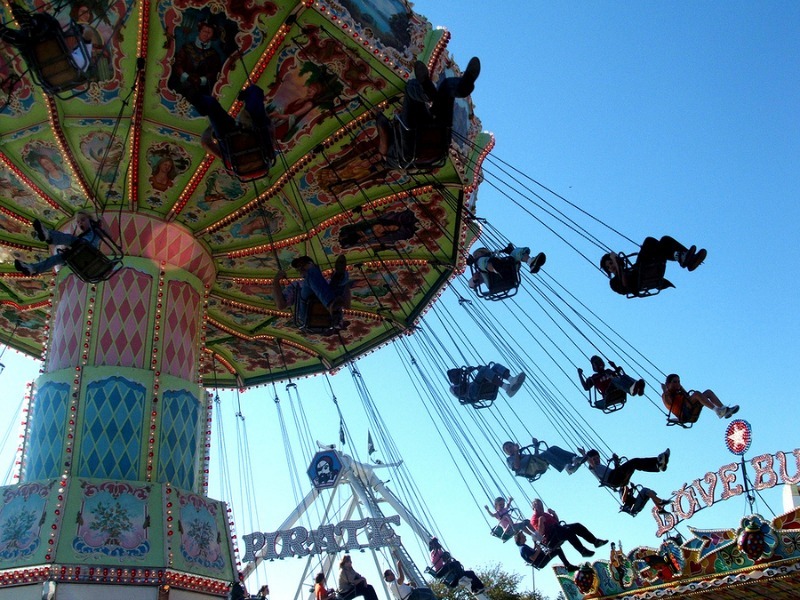 One topic that comes up often with our families is going to amusement parks. All kinds of amusement parks—Six Flags, Disney, Sea World, etc. One thing to think about when you’re planning to take your child to an amusement park is their age—not only their chronological age but also their developmental age. A lot of times we feel pressure to, say, take all our kids to Disney World before they turn 5. But maybe it’s not appropriate for your kids to go at that age. Maybe you wait until they’re a little older. Sometimes there can be a huge difference in how much your child enjoys the trip by just waiting a year. Talk to your clinician and think about what would be best for your family. Don’t feel pressured to take a trip to an amusement park if it’s not the right time for your child because it can be an absolute disaster if the trip isn’t handled appropriately! Make sure you do your research on the parks before you go. Make sure you find out what things are available at that park. You may need to have safety spaces or cool-down places to go to. Where can you go if it gets too hot? What kind of food do they have there, and where is it? Think about what you will need for a refuge in their worst possible moments. Make sure you do your research and plan so that you really know the park, and you know what services are available. 2. Look for “Front of the Line” passes. If your child has a diagnosis, many amusement parks will allow you to get a special pass that allows you go to the front of the line. For many of our kids, waiting in a line for two hours is going to be a nightmare! It will end up being amusement park hell, rather than amusement park happiness. Often our families find that it’s best to stay in hotels that are on the property because it gives them the opportunity to “escape” for awhile and return later. 4. Think about the flow of the day. Maybe you plan on visiting certain sections of the park that work better for your kids. Maybe your child is more prone to water play, and they have a water park. You want to phase or plan your day so that you know what’s going on at every moment. When you don’t plan ahead and you just spontaneously go through a park you risk ending up in a place where the child doesn’t have what they need for that particular moment in time, which produces a long meltdown. Again, think about your park, about your distances, how you’re going to travel, what is involved in that park. And you know what? Maybe it’s okay for you to go early in the morning, and not stay in the afternoon when it might be hot. Or maybe you’ll go early in the morning, come back and take a nap, and go back in the evening. In the end, prior planning prevents poor performance. With our kids, that’s really an important thing to remember. Often times people want a vacation to be spontaneous, and not so planned out. But I’d rather see you have a good time and put some planning into it than not. Really think about what works best for your family. And also talk to your therapist. We have done lots of travel planning, and we can make suggestions for you! We want you to have fun and enjoy your family, so enjoy the parks! Have questions? If so, please give us a call!